We have a quaint custom in our region down south. A pregnant lady is ritually fed sweets during the fifth and seventh months by the older members of the family. The first one, in the fifth month, is the responsibility of the in-laws. Accordingly my mother-in-law had prepared five varieties, and I was duly fed bits from them all by the women of the household while seated in front of a lighted oil lamp. Once the formalities were done with, I joined the L&M at the dining table where the goodies were laid out for the invitees. When he saw me, he waved his hands magnanimously at the spread and told me to pick the one I liked best. Without any hesitation I extended my arm and picked the humble murukku, the only salty one among the lot of sweet jalebis, laddus, halwa and the like. L&M wrinkled his brows. “Murukku from among all these? !” he asked even as he chose a juicy jalebi and bit into it with relish. It is not that I don’t like sweets. I do, in moderation. But of most things salty I am a huge fan. Let me put it this way: If you were to extend a packet of potato wafers and chocolates, and asked me to choose, I would definitely grab the former. Nothing like a crunchy packet of potato wafers. Mmmm…. Perhaps it is this trait of mine that makes me break out into rashes every time I read saccharine sweet posts littered all over the net, and shared diligently by otherwise discerning people. They, the stories, scream ‘made-up’ and I dislike anything ‘made-up’ with a passion. Unless of course, it comes labeled correctly as ‘fiction’. Then it is a different matter. The sole aim of the cloying posts seems to be to tug at heartstrings. But, hey. I reserve the right of my heartstrings to be tugged. True stuff are fine, but spurious tales devious minds have come up with is a big no-no. Such made-to-order tearjerkers which present themselves disguised as the real deal annoy me no end. I have to literally bite my tongue to not come up with a caustic rejoinder to them. I don’t understand the fascination that everyone seems to have for these fake stories ‘that move’. The stories look and sound so obviously ARTIFICIAL. How can anyone not see through them? The cloying sweetness of the language used makes me nauseous. But, sigh, we humans are not all the same. What causes nausea in one is lapped up eagerly by another as the perfect fare. Different tastes, I know. I was telling just this, complaining about how “sweet” people seem to be on social media. I’ve seen their nastiness in action and it makes me wonder – what kind of people are they?! Offer her wafers for mollification! I don’t know if this is true, I do find a lot of people once they get older become less interested in sweets. I used to be obsessed, now I can’t really eat too many sweets like I did as a kid. But I love murukku! I can never get enough of those haha! I have never ever liked chocolates. The only one I like is Cadburry Fruit & nut. Sometimes I like Jaggery sweets. Hate sweets made out of sugar. 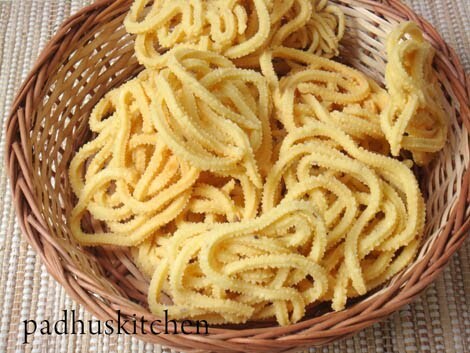 Nendrampazha chips…you brought it too, is my favourite! and i bet my last cent that your zodiac sign is cancer. You bet, eh? You just lost. Did you not hear of Opiuchus? Apparently I have now become a Gemini. The irony. Bwahahahaha. Aiyoyo. When did this happen? Don’t give us Geminians a bad name. Go back to who you were.